Team Jacob or Team Edward? Because this Alpaca is definitely Team Jacob. Taylor Lautner, who played Jacob in Twilight was every 00’s girls crush, his brooding manliness combined with his stunningly dark features had most girls head over heels. 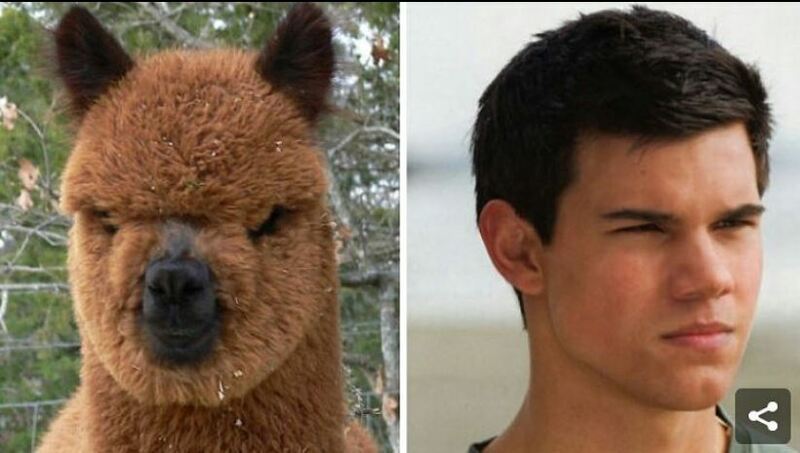 This Alpaca has a smoldering squint going on just like our favorite teen wolf and so it shouldn’t really come as a surprise that Taylor’s lookalike is this Alpaca. Fun Fact: Much like llamas, alpacas are known to spit when they’re annoyed with someone or angry with someone.